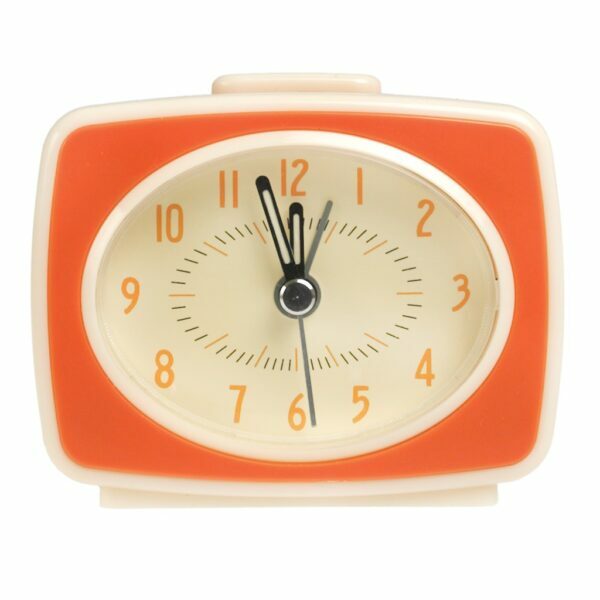 TV style retro alarm clock, in orange and cream. Features glow in the dark hands. Requires 1 AA battery, not included. Easy to use, and great for adding a pop of colour to your bedroom, the retro alarm clock also makes a great gift for children learning to tell the time!